Autumn is coming. 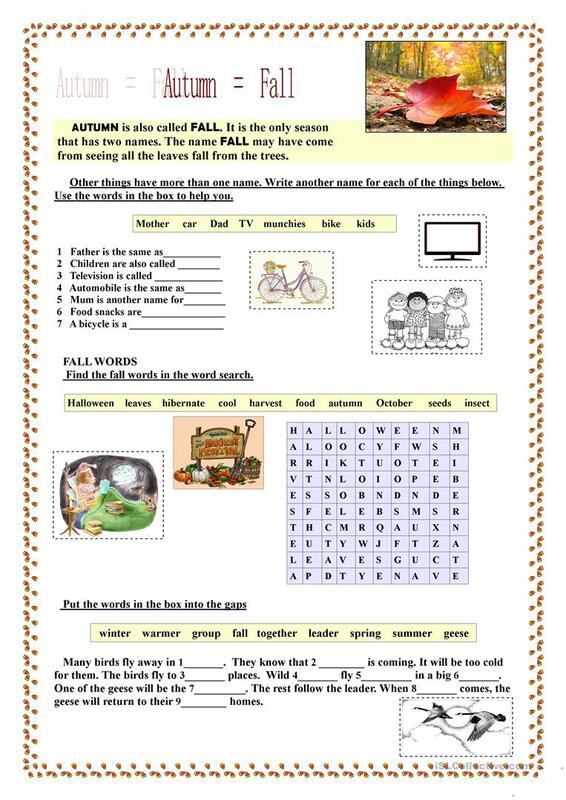 One page of exercises connected with autumn vocabulary. 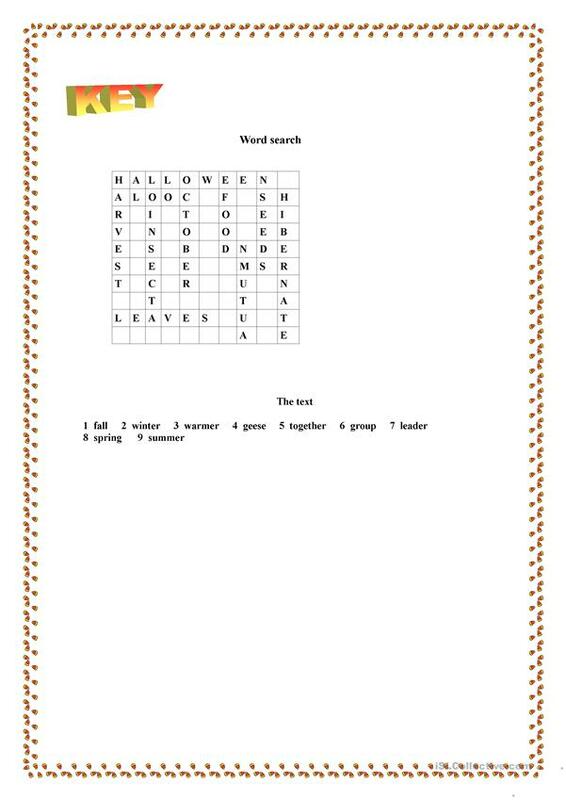 This worksheet consists of several exercises. Hope you will find it useful in your own classrooms. The present printable, downloadable handout is meant for high school students, elementary school students and kindergartners and nursery school students at Beginner (pre-A1), Elementary (A1) and Pre-intermediate (A2) level. It is a useful material for consolidating Present simple tense and Verb tenses in English, and is excellent for working on your pupils' Spelling, Reading and Writing skills. It focuses on the topic and words of Animals, Autumn, Months and Seasons. You will find the answers at the end of the worksheet. tantana is from/lives in Russia and has been a member of iSLCollective since 2012-11-28 17:09:54. tantana last logged in on 2019-04-26 04:55:26, and has shared 260 resources on iSLCollective so far.